In this article, we help by guiding consumers in finding the best way to prep their deck for an application or reapplication of a deck stain or deck coating. Not all scenarios are the same and this article with some input and pictures from you will help determine the proper way to prep. What is the Best Deck Prep? 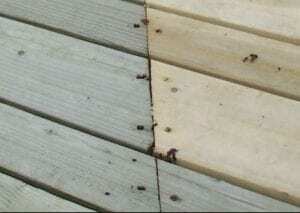 Clean, Strip, or Sand the Deck? Is the wood new or old? Does it have a previous coating on the wood? Are you recoating with the same brand and colors as last time? When was the last time it was stained? What type of stain was it coated with before? 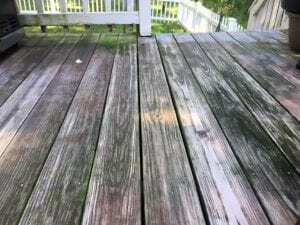 A better way to approach the deck prepping question is to ask, “what is the best deck prep for my deck due to its current condition and age”?